Summer is almost over and back to school is fast approaching. 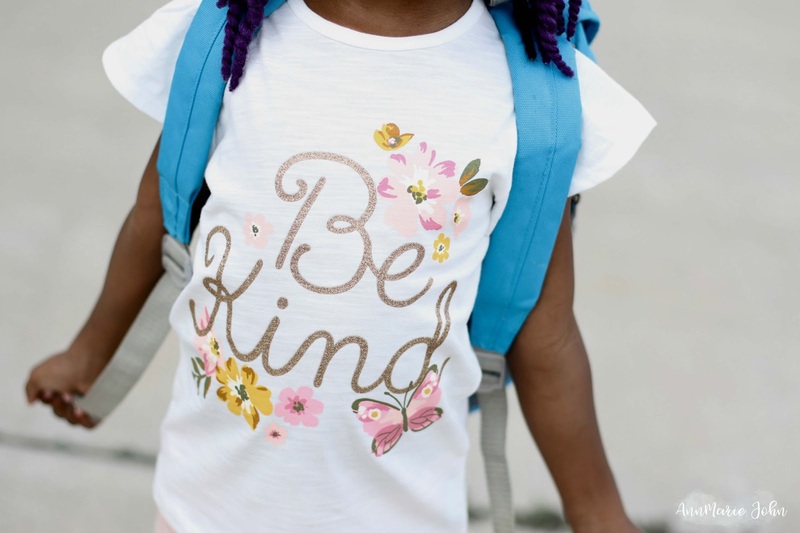 We share some tips on how to get your kid's closet ready for back to school while introducing some new clothing from Carter's available at Kohl's. I'm going to be honest with you, I LOVE back to school shopping and I love both Kohl's and Carter's. Growing up, going back to school shopping was the highlight of actually going back to school. It means an entirely new wardrobe and I just love clothes. Madison, the baby of the family, starts Kindergarten in just a few short weeks, but her closet is a mess. Madison has more clothes than anyone in my household. Not so sure how it all happened, but there are even clothing with tags still attached, still not worn, but are now too small for her. 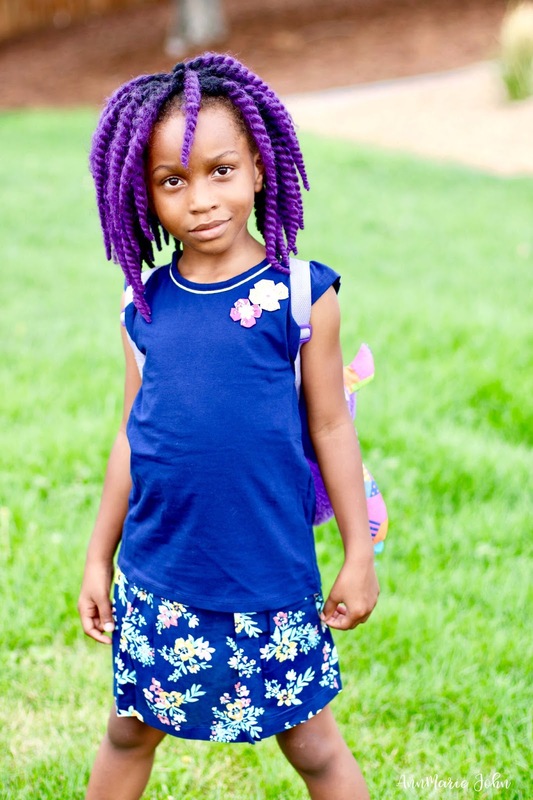 With a new school year approaching, I wanted to get her ready for back to school with an entirely new wardrobe, but in the meantime, I needed to clean out her closet. 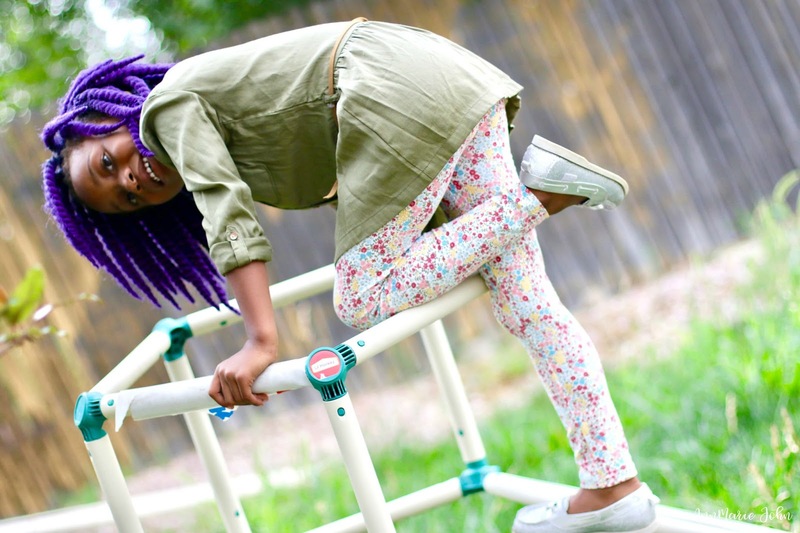 So how do you get your kids closet ready for back to school? I'm going to share with you how I get it done. While it depends on how big your child's closet is, it will more than likely take a few hours to get it reorganized. Set aside a day or a few hours of a day to get it all done. While your child may not want to do the work, letting them know that they will be getting a brand new wardrobe might get them in the mood. You can also offer an incentive as well for younger children and praise them for doing a good job. To make it fun, let them put on a fashion show, this will allow you to see what fits and what doesn't. Take everything out of the closet, don't leave a single thing behind. This is your time to sort through and evaluate what you want to keep, donate or place in the trash. Store clothing that your child may grow into containers, and put away seasonal items that will not be used. Once you've gotten rid of what you don't want, it's now time to go back to school shopping for new items. Kohl's has always been one of my favorite place to shop and Carter's brand has been one of my favorite when it comes to children's clothing. As a matter of fact, they were one of the first pieces of clothing Madison had against her skin as a newborn. Their selection is always age appropriate and I feel good knowing that I'm getting value for my money. Madison's closet was filled with baby hangers, but she's now grown up, so I decided to get her new hangers. I purchase plastic hangers since they're not only affordable, kids can also use them to slide their clothing on and off easily. To make it easy for your child to get dressed, organize your child's closet by type, such as all tops, pants, dresses etc., in one spot, using a label which you can purchase separately, or if you're handy to make your own. You can also keep matching outfits together making it even more accessible. Keep your little one's closet in tip top shape by maintaining it. Get rid of too small clothing as soon as they become too small, and remember to place clothes in their designated section. Keep a hamper nearby so that your little one will not place their dirty laundry in their closet and once a week, go through to make sure everything is in order. 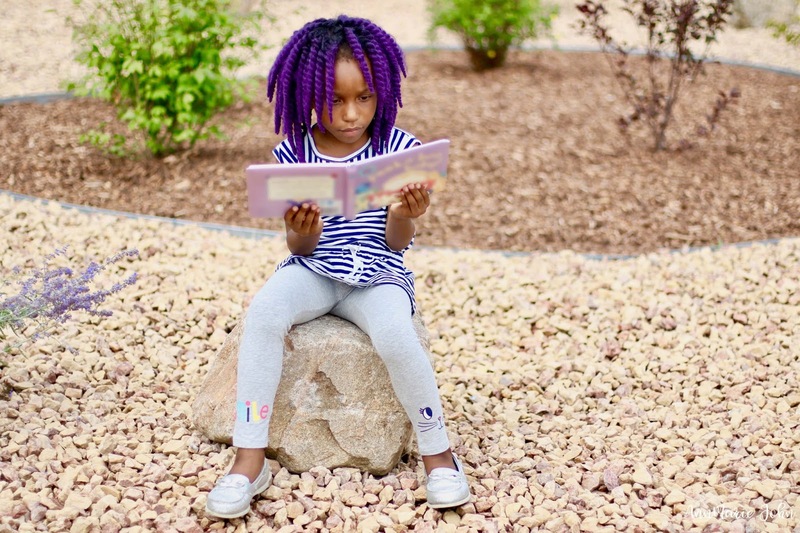 Whether you're shopping for new clothing for back to school or because your little one has outgrown their clothes and you just need a new wardrobe, be sure to check out Kohl's. Before I went in-store shopping, I took a look online at what Carter's had to offer at Kohl's so I could plan my shopping trip. 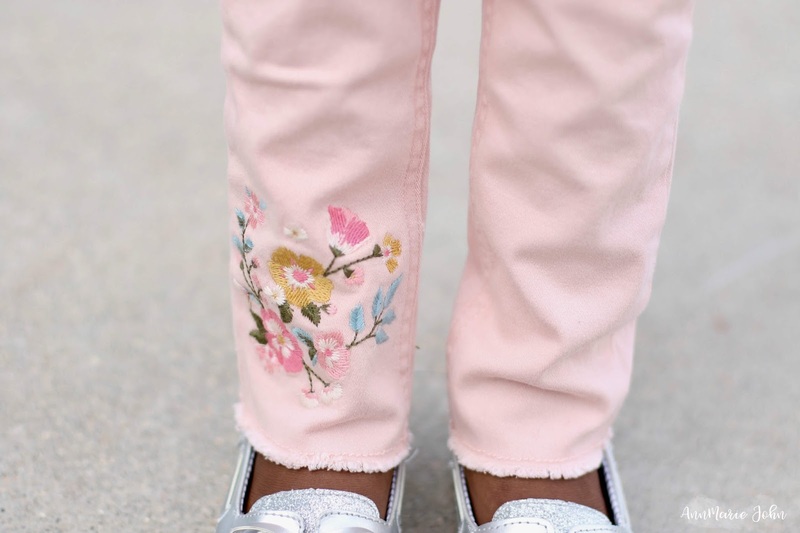 Carter's has a great selection for both boys and girls from size 0-8, and I love the fact that I can mix and match my choices. This way I can have quite a few outfits while only purchasing a few pieces. They are very affordable so I never feel like I'm breaking the bank. There is a 40% - 50% off Carter's Playwear sale from 8/4 – 8/20. Shoppers can also use the BTS10 code to get $10 off $50 spent on the back to school categories (which includes Carter’s clothing). 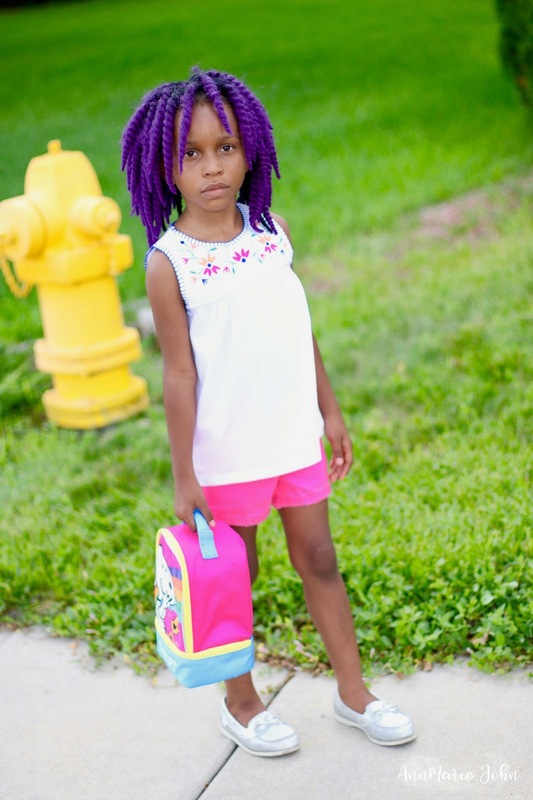 How do you get your kids closet ready for back to school? I love these tips and these looks. I also love your daughter's presence when being photographed! SO sassy! 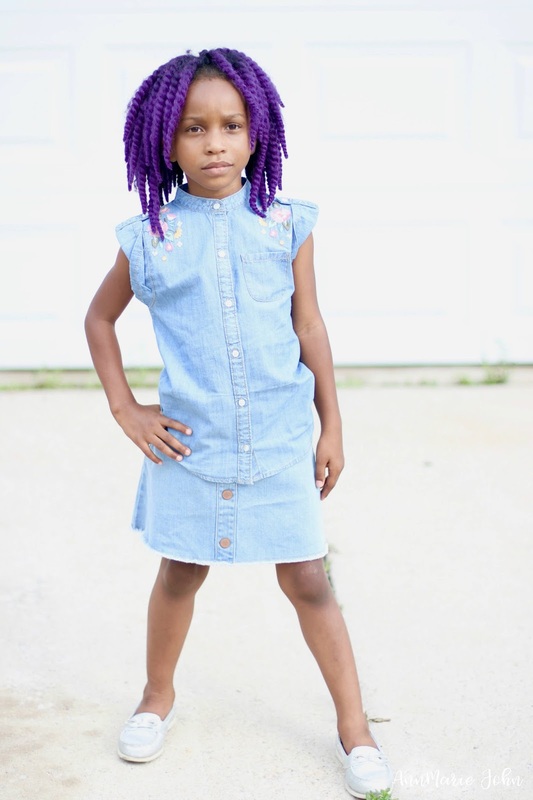 Your daughter has the most amazing style! I love all that confidence she's throwing off in these pictures, too! oh my she looks so adorable in all those clothes from Carters! 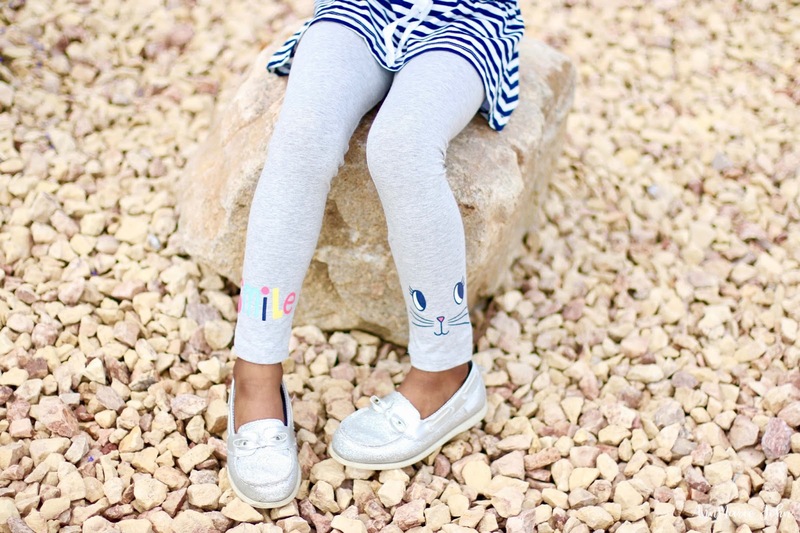 I love Carters brand because of all the cute and adorable outfits! I cant wait to check out the collection at kohls! I remember the days of sorting through clothing for back to school season. 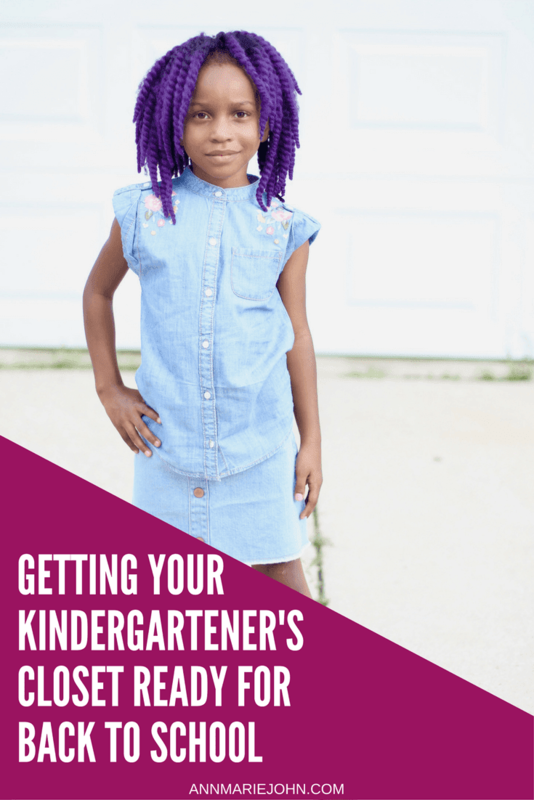 Being that I have always had a small budget and before blogging had no idea where to get the best deals, the kids had a lot of hand me downs. Now that we can shop for each child this year I love the idea of getting the boys at least to clean out their closets and make a list of their needs. I know my middle is all about dressing fancy-ish this year with button up shirts and nice jeans. 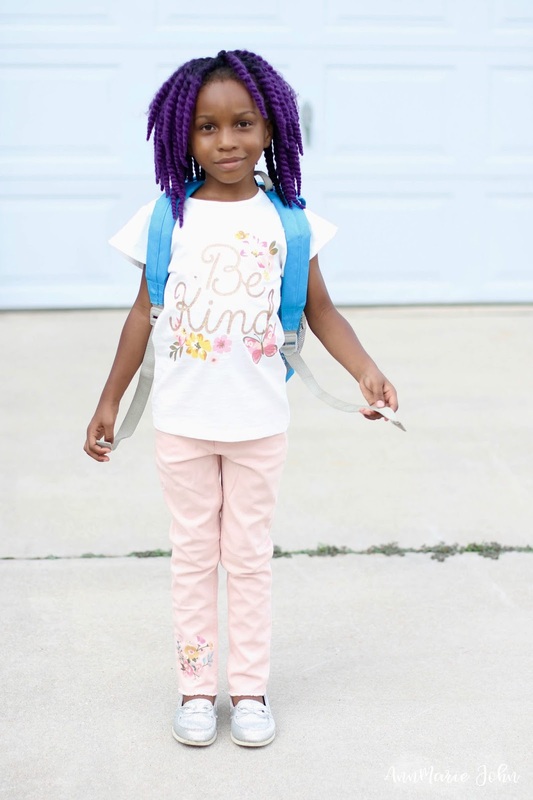 I will give a look at some of these ideas that your daughter is wearing for my niece, as she needs us to help anyway we can for back to school! I love all her outfits. This idea is so great, so when the time comes that you'll be so busy, you could simply pull out one of these. Goodness, your daughter is a great model! My kids aren't in school yet, but I'll keep these tips in mind when they start. When my daughter was younger she wore nothing but the Caters brand! They have the most affordable clothing, that lasts, and always super cute! Cleaning out my sons closet is a good 5 or 6 hour ordeal because he needs to try on everything to see what stays and goes. It is great to involve the kids because then they take ownership. Great advice! I always kind of liked back to school shopping too. It's even better when there are some discounts! We always shop at Khol's for the kids clothes. They have such great bargains and the quality cannot be beat. I love your daughters style! She is absolutely gorgeous and would look good in anything of course! But these outfits look great. My niece's bedroom always looks like a bomb has hit it so i'll send these over to my sister as a not so subtle hint haha! Before anything else, Madison is adorable! She's an awesome model, if you ask me. I also love back to school shopping, I get super excited about it as a kid. This collection is brilliant, love the colors and the patterns. Aww she is so cute! I love all the leggings you got her! I still have a ton of clothes I need to get my boys for back to school. Your daughter has lovely outfits! Everything suits her well. She is so pretty and it looks like she knows her own personal preference in clothing. These are so cute! This was my first year doing back to school and it was so much fun! My daughter was so excited to get all her new clothes. Such great advice. I love all of her outfits! Before we would go shopping we would pull out all the prior years fall clothes that we weren't sure were still going to fit and had a try-on party. That would let us know where we needed to start as far as gathering new things. Especially in the jeans department. Sometimes we had to start all over, sometimes we had a few pants and shirts (because we bought them a few sizes bigger the previous year) that we could mix and match with new. Shopping off season sales racks was a huge saver too. These are really great tips! I need to try these! This is such a smart list. Prepping before the school year starts can help you get off on the right foot. It's better to plan ahead then try and play catch up later. She has some of the cutest outfits I have ever seen! She looks ready. She looks so cute. You found some amazing outfits. I can't believe how good those outfits look. Kids have it easy these days! These are all awesome tips for back to school shopping. Organizing the closet first before heading out would help a lot in getting only the stuff we need so we stick to a budget. 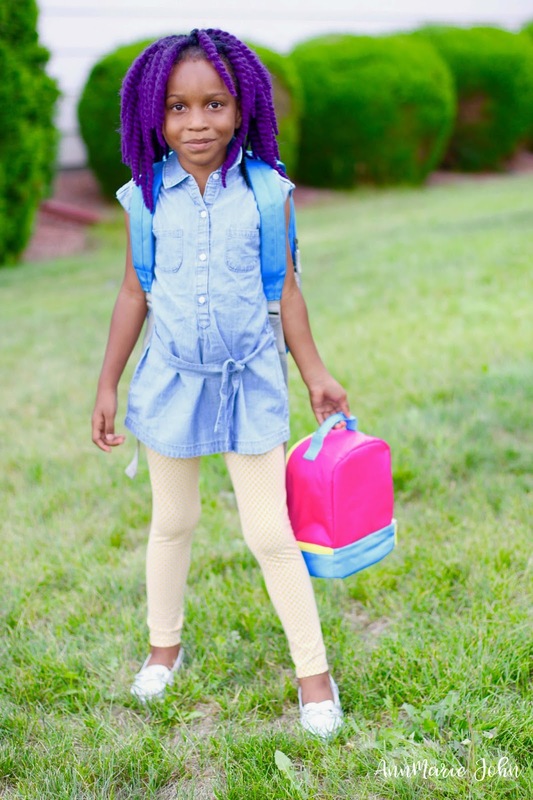 Your daughter got really nice outfits for this school year. I don't have a daughter but I have three boys that would need some new clothes too. All of this clothing is so adorable. I know that we love to dress in some new duds on the first day of school. Organization is definitely key when it comes to letting kids pick out their own clothing. Making sure that everything is where they can reach it and pick it out is awesome! This is great advice and I think that getting ready for school by cleaning out the closet is a great idea! Madison is such the model. How is she doing in school now? I know she's back already and I'd love to hear about how she's doing in Kindergarten. I'm going to have to head to Kohls and get some stuff for my niece for back to school. 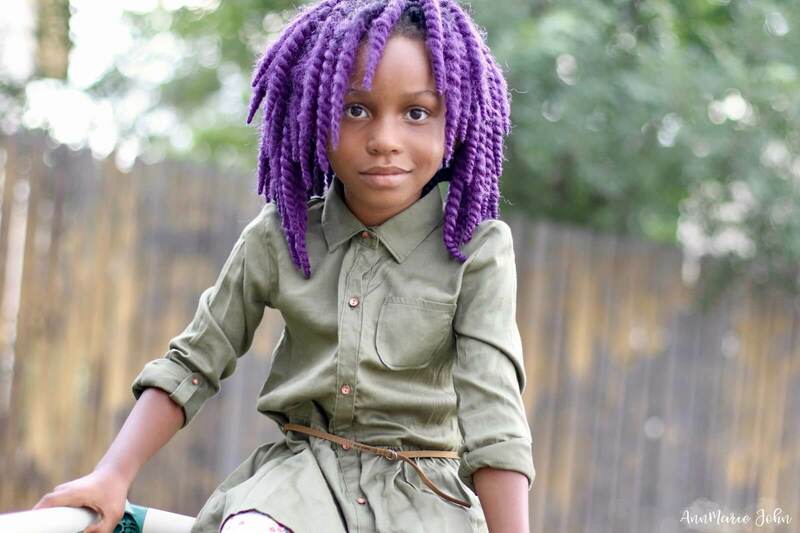 As a full grown adult that has just gotten around to putting purple in my hair, can I just say that I LOVE her hair! 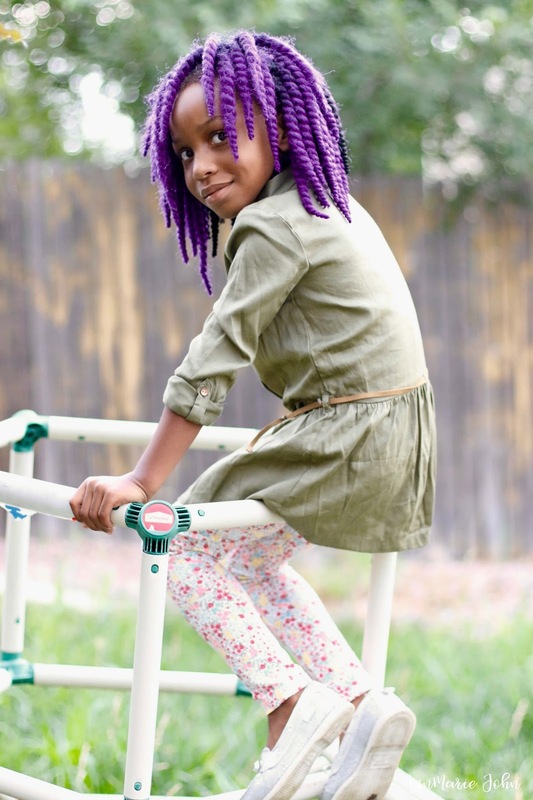 These are some great tips and wow, what a great little model Madison is! Love all the stylish back to school outfits! Kohl's has such great clothing! She's got so many cute looks here! I like Carters and Kohl's, and you're right, maintaining the closet is important. It can get overrun with clothes that no longer fit, really fast! Organizing the closet is really important even picking clothes that your child likes and is comfortable with as it helps with their confidence growth. Your daughter looks really cute on those clothes by the way. These are such great styles! I'm definitely going to check them out for my girls! I love all of her looks! She's totally going to rock the new school year. I still have some shopping I need to do for my kids. Whilst I don't have any children of my own yet, many of these tips I can definitely take on board as an adult. 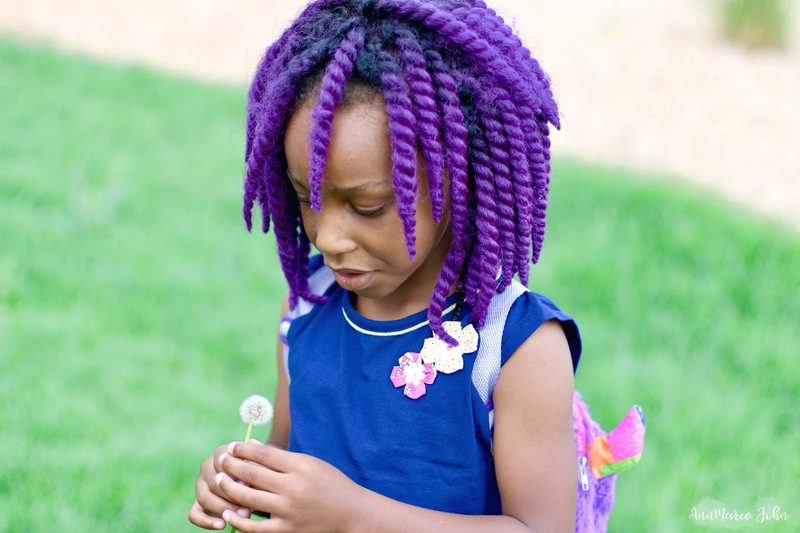 You're daughter is rocking some fab outfits and I love her hair! 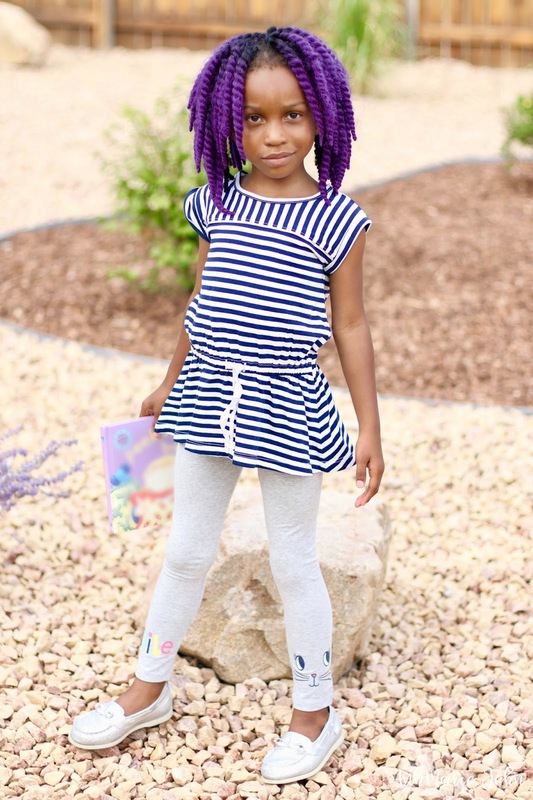 Your daughter looks so stylish for back to school! Kohl's has some really great stuff to choose from! I love the Carter's brand. I need to get over to Kohls to pick up some of these cute outfits for back to school. Yes! We remember shopping at Kohls when we were younger and we STILL do it now! They have such cute clothes! Loving these back to school outfits! 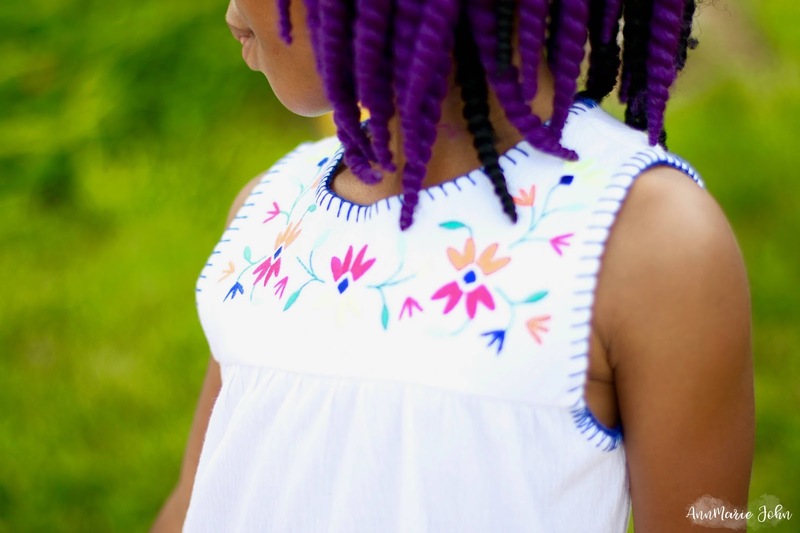 The clothes are too cute, but you're daughter's hair is fantastic. Was it your idea or her's. These are all tried and true tips, especially when it comes to organization. Organization is everything when preparing for school! Speaking of maintaining, I found 2T clothes in Des' drawer last week. 2T! Our kids are getting so big, sob. Madison has such incredible style and we have the same lunchbox here for Scarlet! They'd totally raid each other's wardrobes. She is going to be the most popular gal at school, such cute outfits!! Organization is key when you're preparing for school. Can't believe we're already going back! Your daughter looks so cute in her different outfits! She is definitely ready to go back to school! I am just noticing that ya'll have matching PURPLE hair, YAS to that! You are scoring cool mom points right there! You have a future model in the making there, cute outfits! Doesn't Carter's have some of the cutest stuff for kids. I love shopping there! Madison looks adorable! I love all of the outfits, especially the green dress (?) !! She is beyond adorable and I love all of her outfits. Carters has some cute outfits.